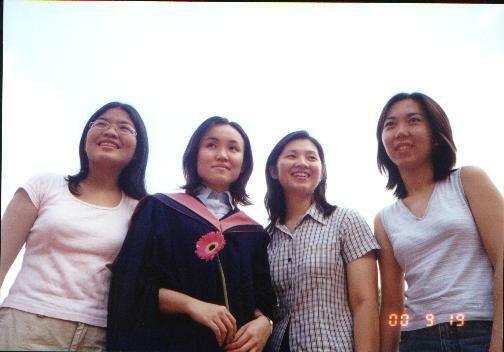 From left to right: Dejia, Yours Truly, Yunwei & Yuexin. An artistic shot by Meibei. She wanted to capture the clear blue skies, but evidently, the camera has failed her terribly. Good try though, u think so?